Society Numbers will not be provided for those that do not yet have one, please prepare one ahead. If you need help Just send me the information beforehand and I will help you. Participation on the Discord channel will be required. Title of event is different from the scenario description – which module is being run? 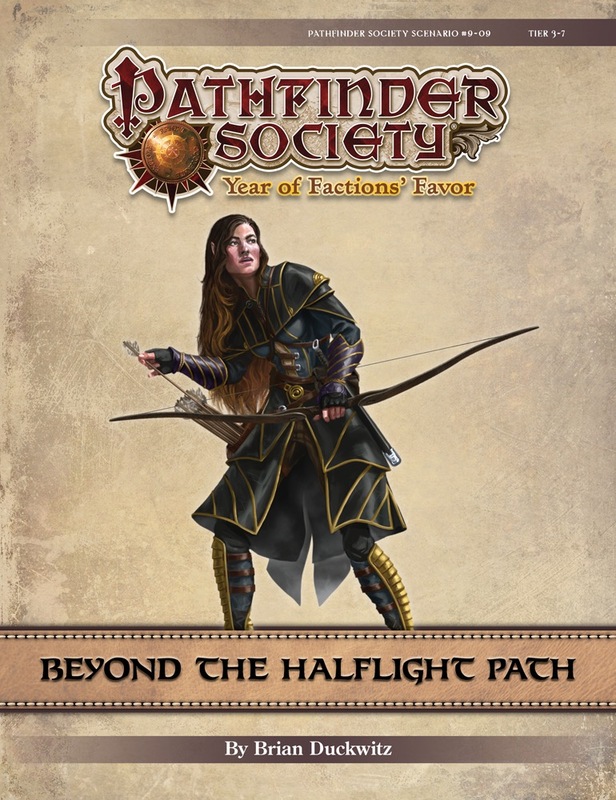 To clarify: Beyond the Halflight Path is the scenario run. Is this Scenario number 8-06 for Tiers 1 – 5 ? I have a 4th level cleric that I could bring if we’re in the lower tier or a 7th level fighter if we want the upper tier. Think i can provide chars for every Level, i’m fine with high or low. I’ve got a Level 4 gunslinger (musketeer), but if people want to play upper tier I’ll play a Level 7 pregen, maybe L7 Ezren (wizard) or the L7 Investigator pre-gen (I forget his name). Furthermore there is a level 3 fighter joining, so I think we are looking at low tier. I’ll bring in the 4th level cleric. Any email correspondence on this game that I haven’t seen? You should have received mail from my side, with table details and other information. I just resent those to you to be sure. Hey guys, just wondering about tomorrow, will we just meet on the discord general chat before hand to get table/classroom info? Am I the only one able to connect to the table?